There’s so much more to Croatia than the dazzling Dalmatian coast. 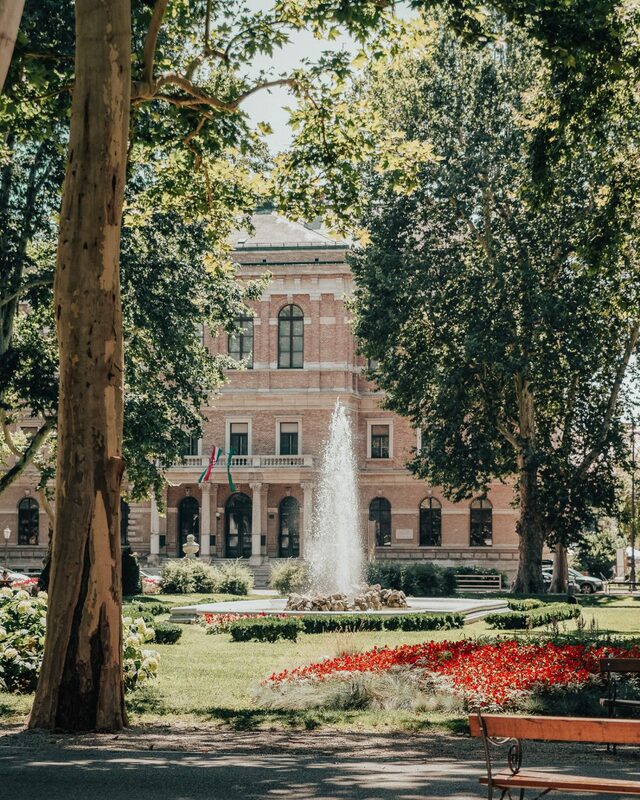 Discover the 16 best things to do in Zagreb in this city guide. 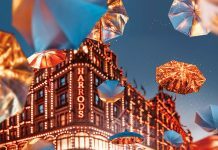 From top attractions and famous landmarks to architectural wonders and hidden gems. 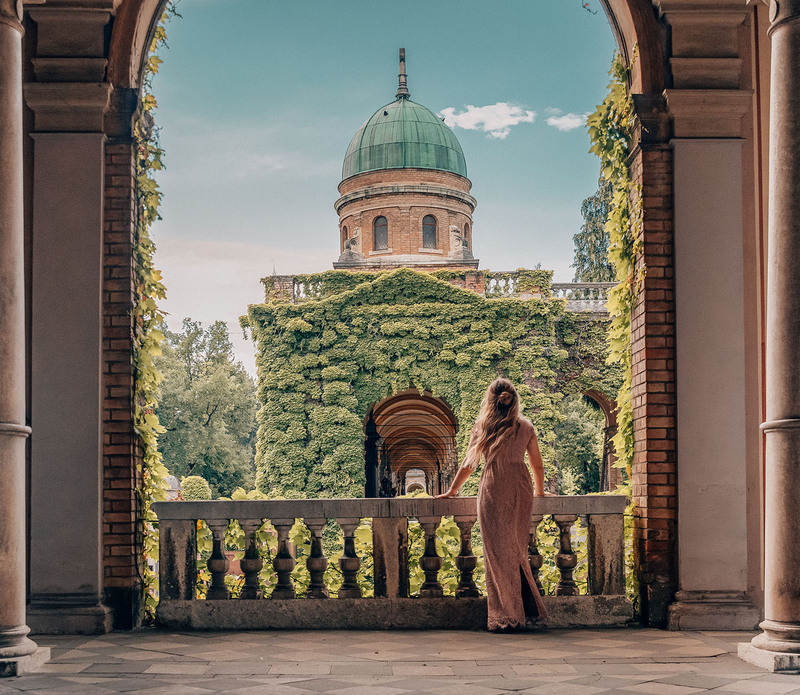 Zagreb is home to a quarter of the Croatian population, approximately 1 million people, and is often referred to as “The City of Million Hearts.” That “love is in the air” is evident in Zagreb. You’ll probably spot red heart-shaped honey biscuits (called Licitars) everywhere. 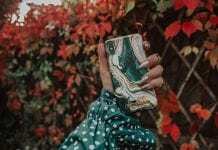 You will also find everything from a museum for broken relationships and plenty of love locks to a heart-shaped bench. 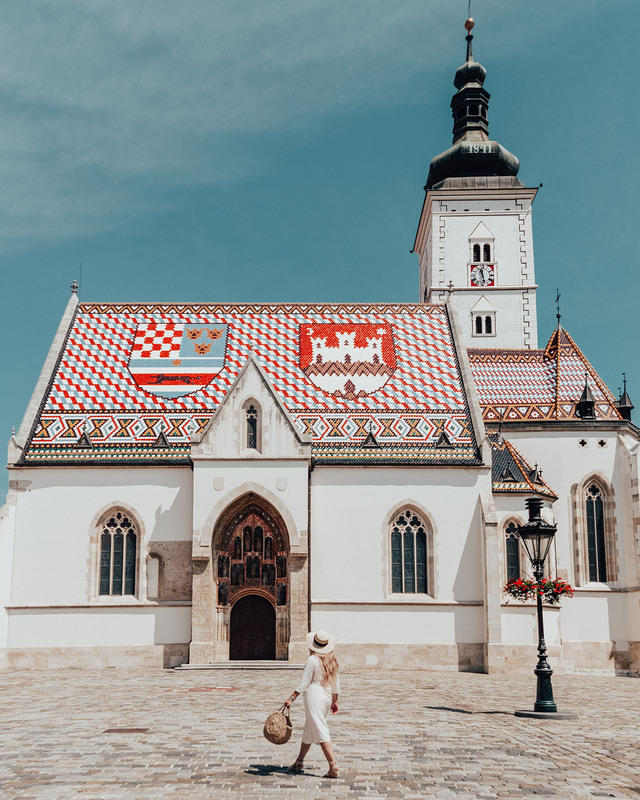 This charming medieval capital is a brilliant weekend destination, but also an excellent starting point before you explore more of Croatia. 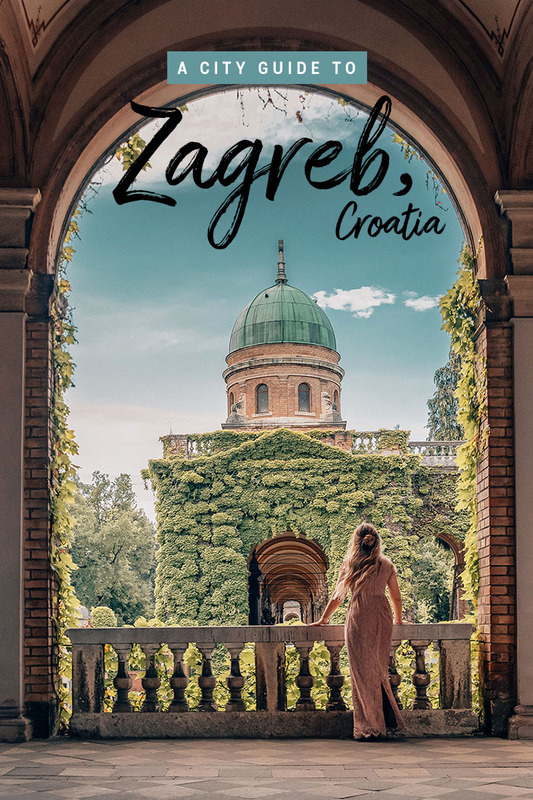 Zagreb is crammed with stunning architecture, all-day-breakfast places, hidden alleys and lanes, many green parks, and cozy restaurants. 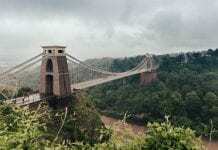 It’s a relaxed, fun, vibrant and welcoming city to visit. 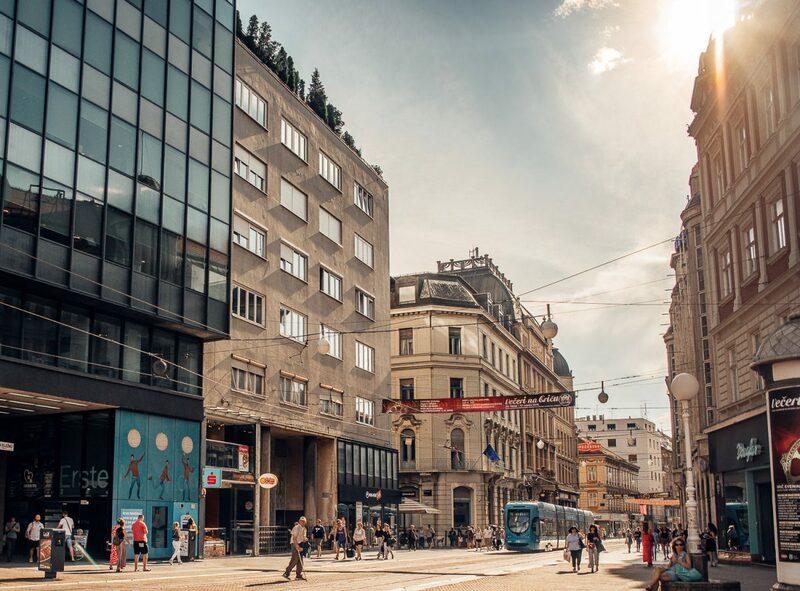 Zagreb is made for strolling. 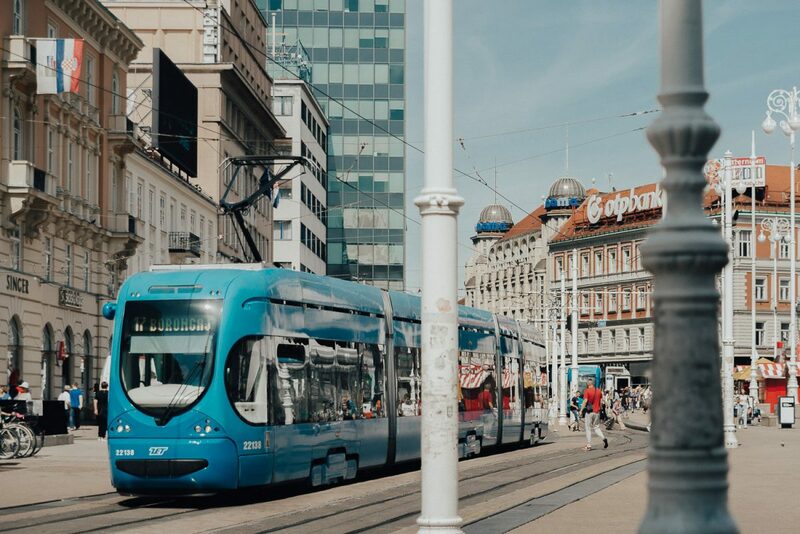 The first thing you should do when you get to Zagreb is putting on your walking shoes and heading out. 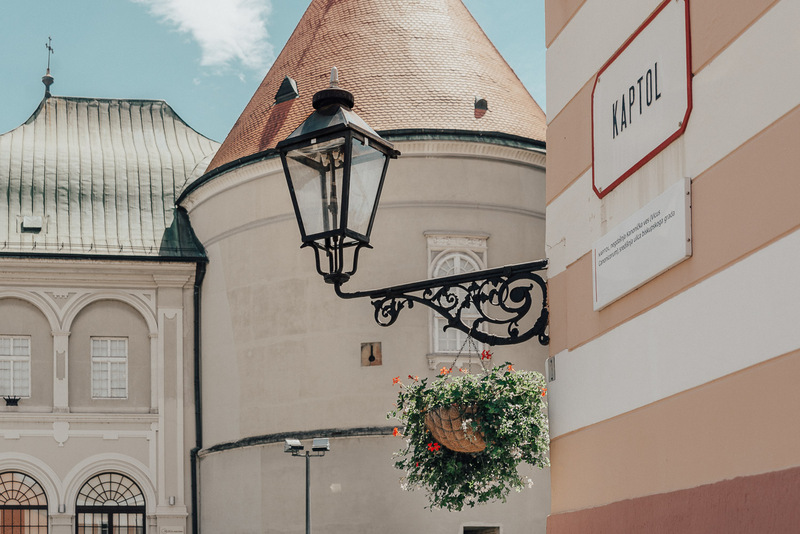 Start with exploring the capital’s historic center, Gornji Grad (“Upper Town”), to see the top tourist attractions, find the most Instagram-worthy spots and walk on picturesque cobblestone streets. When you’re in for some shopping or a lunch break, you can head to Donji Grad (“Lower Town”). This is where you’ll find the main square, many green parks and some of the city’s best restaurants, cafés, and shops. 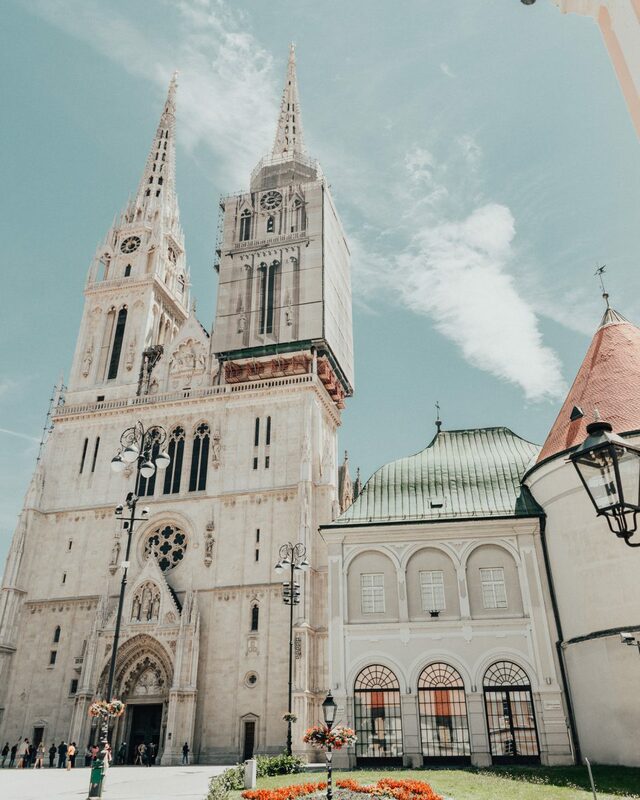 One thing, you literally can’t miss seeing is the majestic Zagreb Cathedral in Upper Town. 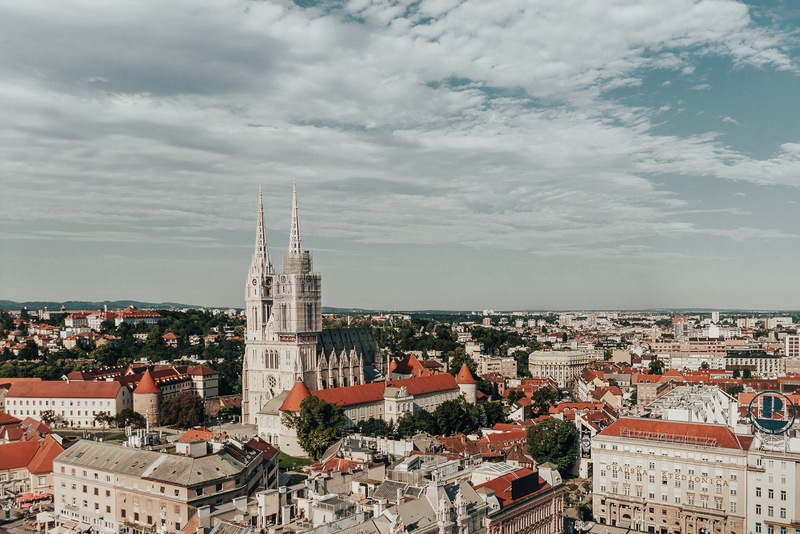 This 13th-century cathedral, with its neo-Gothic twin spires, can be seen from almost anywhere in Zagreb. 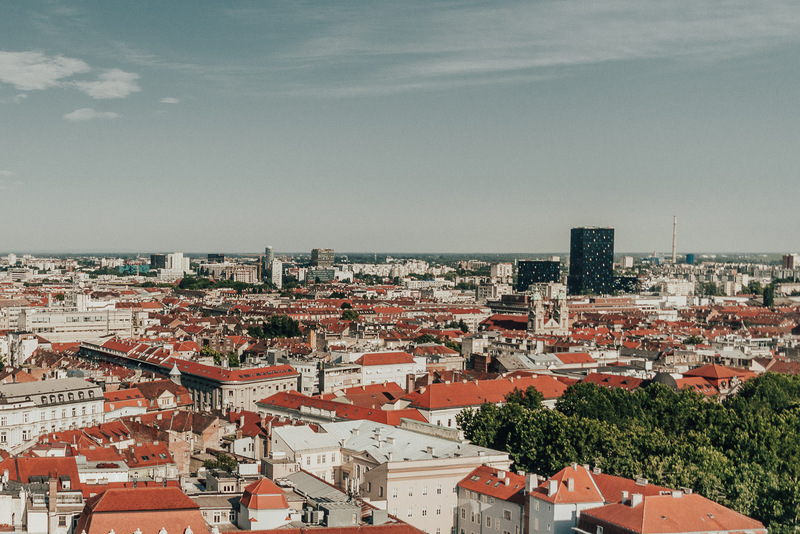 It towers 108 m (354 ft) over the city and is not only a landmark and one of the city’s top attractions but also the tallest building in Croatia. 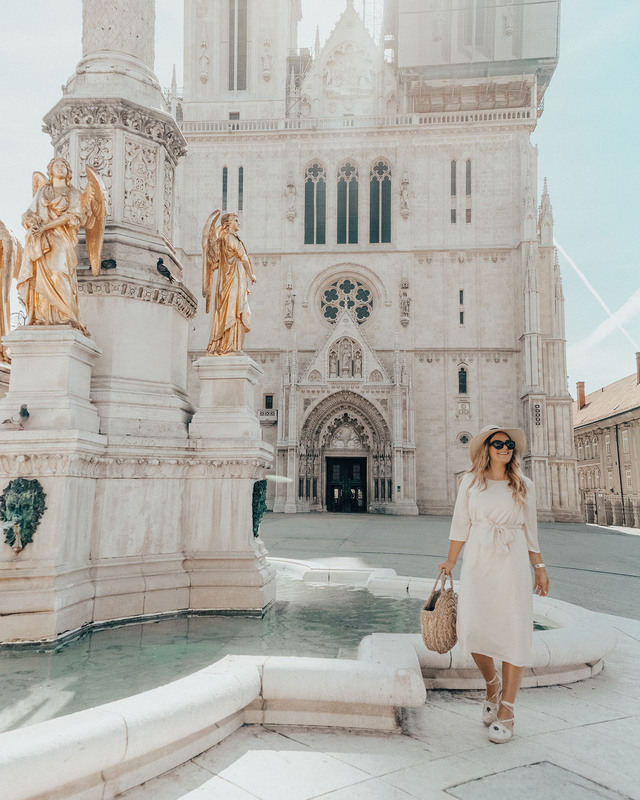 Zagreb Cathedral’s full name is the Cathedral of the Assumption of the Blessed Virgin Mary and the Saintly Kings Stephen and Ladislav (whew!). Luckily, if you only say “the cathedral” everyone knows what you mean. 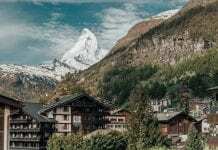 This is a must to visit! St. March’s Church is one of Zagreb’s most emblematic buildings. Not surprising as just a glance at the gorgeous tiled roof can take your breath away. The church is from the 13th-century and is one of the oldest buildings in the city. The cherry on top, the roof, was constructed in 1880. 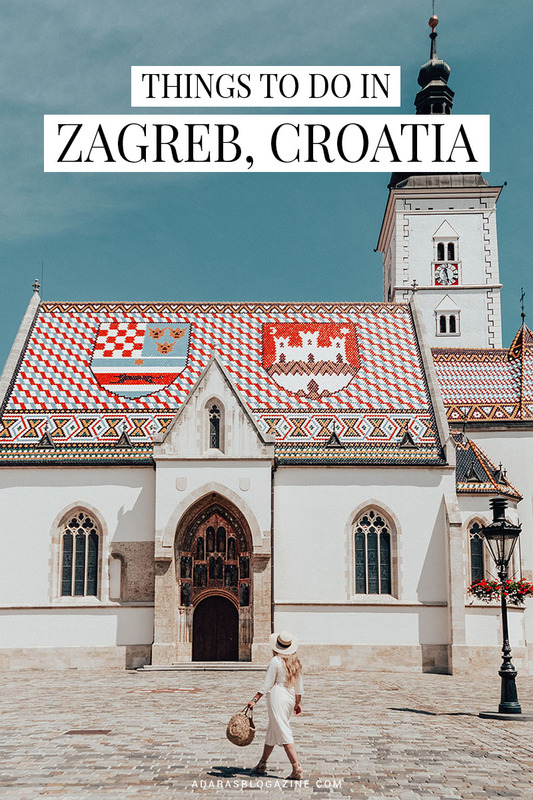 It depicts the medieval coat of arms of Croatia, Dalmatia, and Slavonia on the left side, and the emblem of Zagreb on the right. People of Zagreb knows that breakfast is the most important meal of the day. Forget hotel breakfast and head out to enjoy a long leisurely breakfast in the city while you do some people-watching in the meantime. 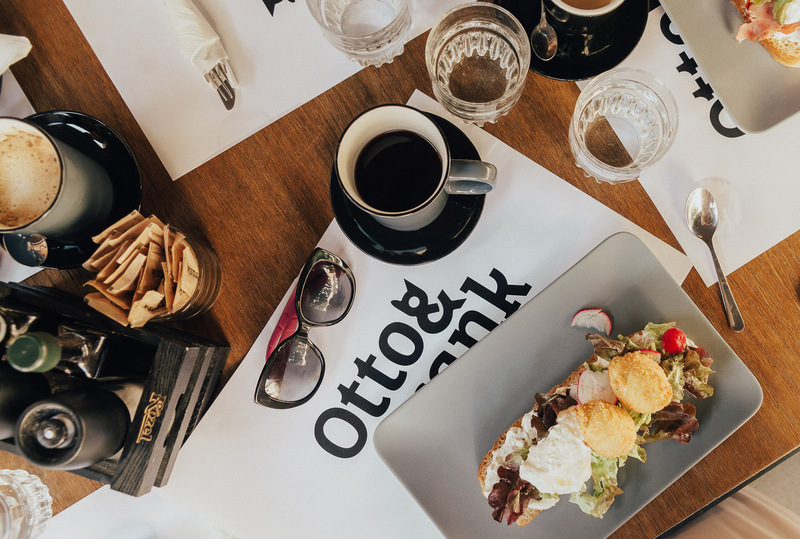 A great place is Otto & Frank, located in the bustling Tkalčićeva Street. 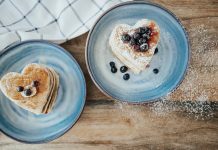 They serve all-day breakfasts and have Nutella and Banana French toast, sunny side up and apple oatmeal on the menu. I recommend that you try their signature dish, a modern version of the traditional Zagreb breakfast for about 5 euro. 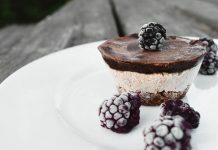 It’s so delicious! They made a vegetarian sandwich for me, but the original include grilled ham, crispy poached eggs, cheese and cream, radish and spring onions. 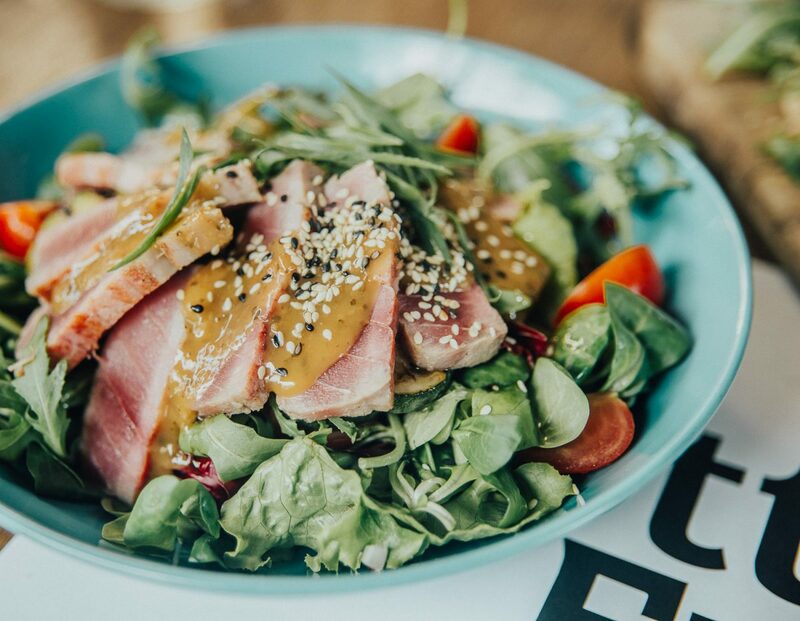 In other words, a hearty meal that will prepare you for exploring the city. 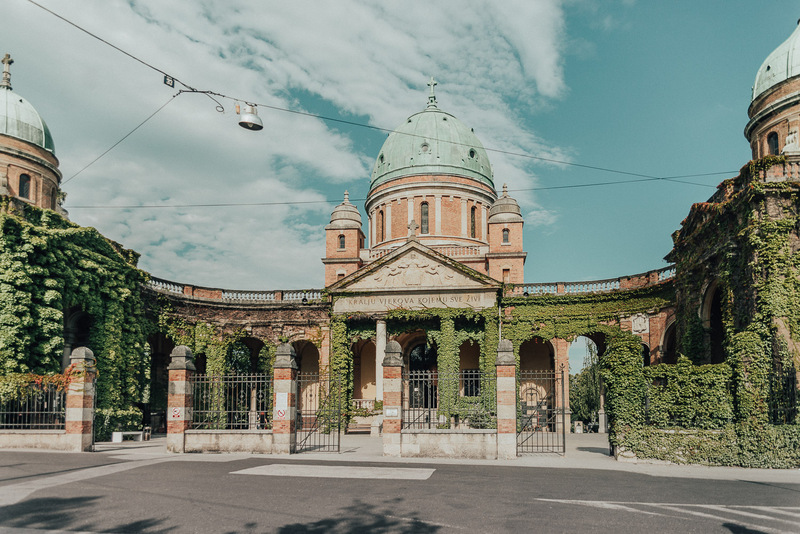 The highlight of my trip to Zagreb was Mirogoj Cemetery. Ironic, considering I nearly died when I saw this view. Can you blame me? HOW STUNNING? The living rarely visits the dead. 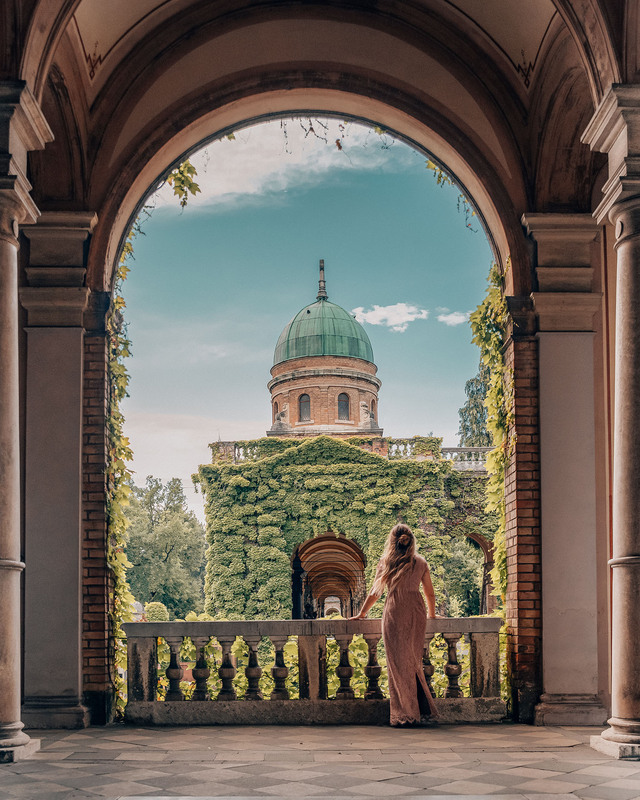 But when a cemetery looks as gorgeous as Mirogoj Cemetery, you can’t possibly find an excuse. Just the majestic beauty and peaceful atmosphere in itself is worth to visit in Zagreb. 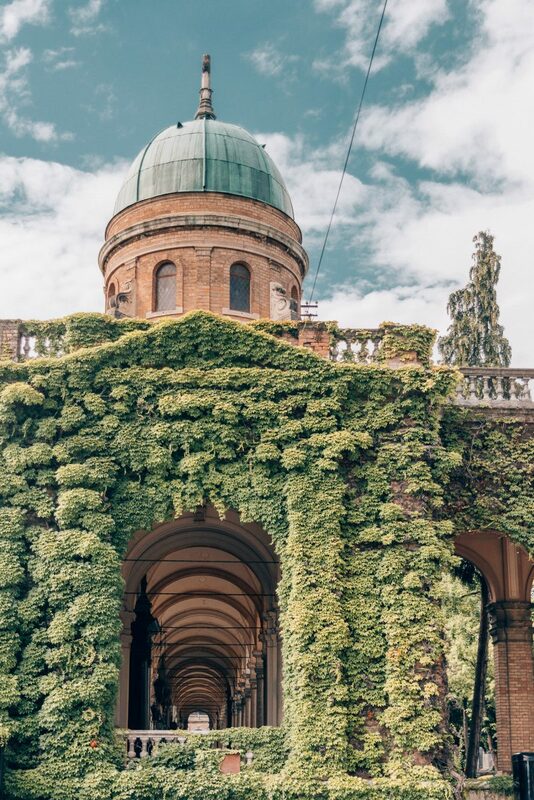 Mirogoj Cemetery is, simply put, mesmerizing! 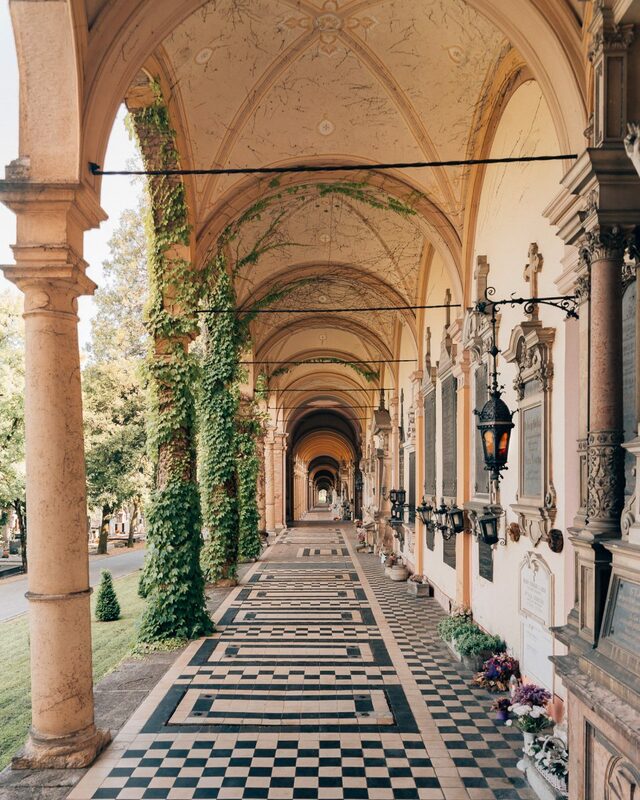 It’s often described as one of the most beautiful cemeteries in Europe. 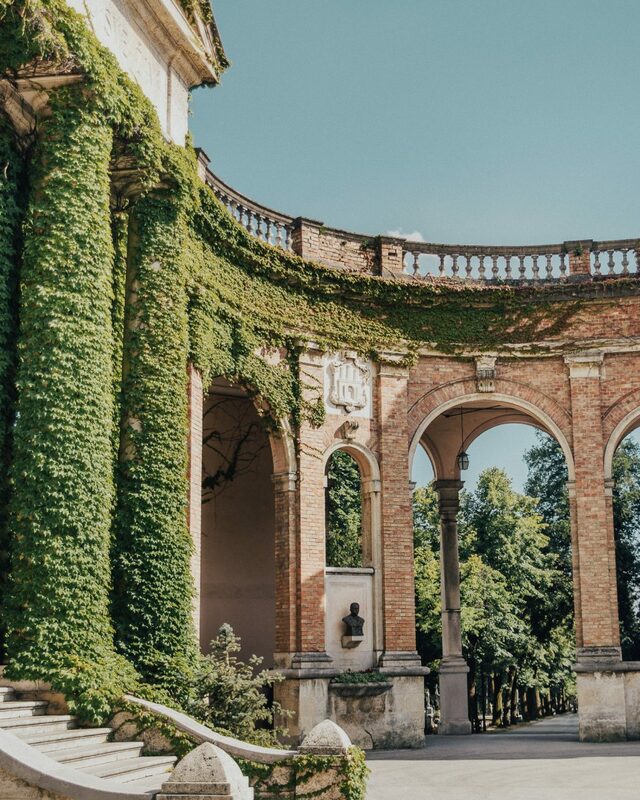 With gorgeous Gothic architecture, bright green ivy climbing the walls in the summer, impressive arcades that seem to stretch into infinity and many grand statues – it’s like a set from a fairytale. 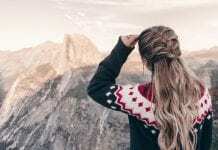 But at the same time a place with so much history, loss, and love. 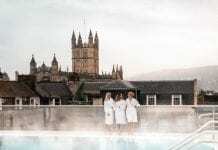 Tread respectfully and carefully, and you’ll find this hidden gem to be a peaceful retreat. The cemetery is located a little bit outside the city center but is easily reached by bus (take bus 106 or 226). Zagreb 360°, also known as Zagreb Eye, is one of the most visited tourist attractions in Zagreb. It’s easy to understand why. The observation deck is located at the very top, on the 16th floor, of the iconic Zagreb Skyscraper. As a result, it offers spectacular panoramic views of the city. Close to St. Mark’s Church is a museum dedicated to heartbreak. 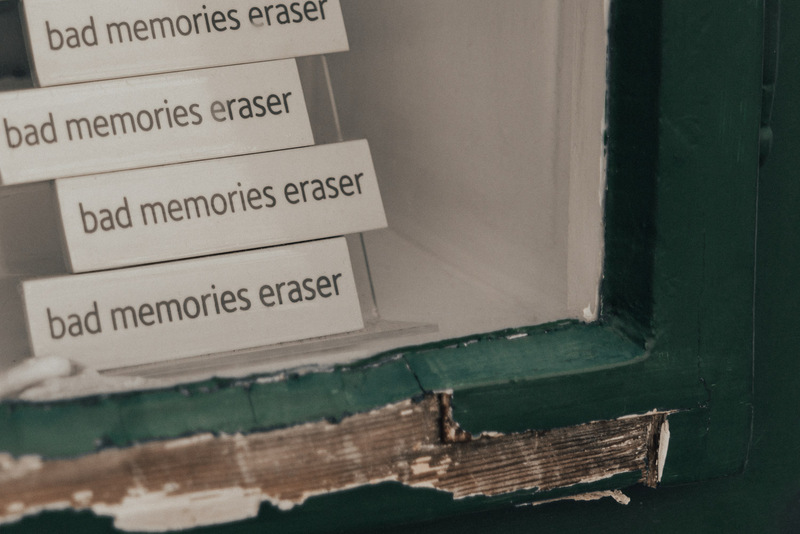 The popular Museum of Broken Relationships tells the story of lost love with crowd-funded everyday objects. These seemingly mundane items provide an insight into the personal stories and heartbreak that accompany them. We didn’t have time to go inside, but as I strolled past it and spotted the bad memories erasers and chocolate (that love will tear apart) in the window, I wish I could have taken a look inside. Museum of Broken Relationships sounds like a very interesting and innovative gallery. Arrive in Gornji Grad with style! 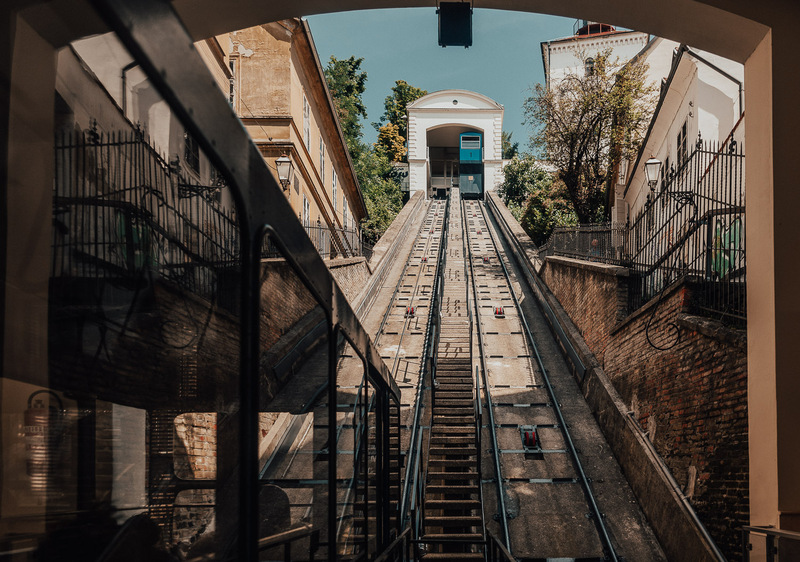 With stairs close by, it might seem quite unnecessary to take a 55 seconds funicular ride between the Lower and Upper Town. But Zagreb Funicular is delightfully charming. It’s only 66 meters and is the shortest cable car in the world. It has also been transporting citizens for over 120 years. The funicular ride costs 5 Kuna (about 0,5€) and departs daily every 10 minutes. If you take the funicular (or stairs), this is where you end up. 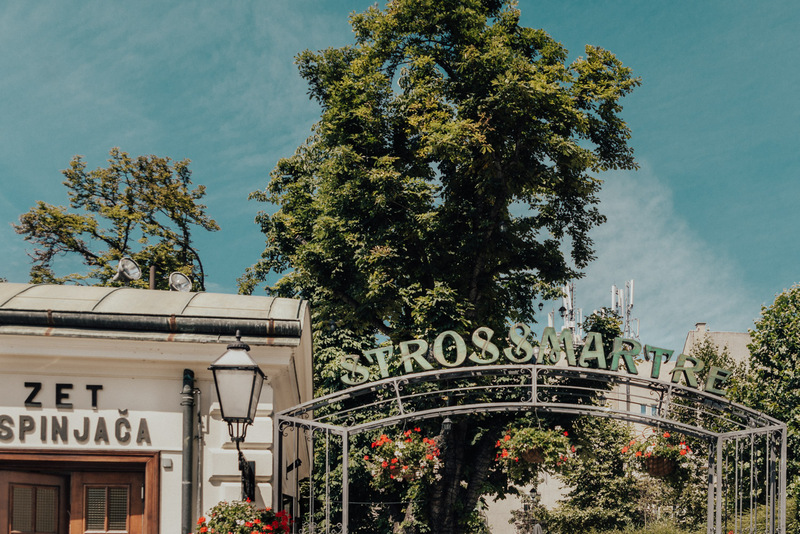 Just by Zagreb’s most romantic promenade, Strossmayer promenade. It runs along the remains of Zagreb’s medieval defense wall. With chestnut trees along the walk, lots of flowers and panoramic views of the city this makes for a very lovely and photo-friendly walk. For a great Instagram-spot, continue the walk until you spot the cathedral. 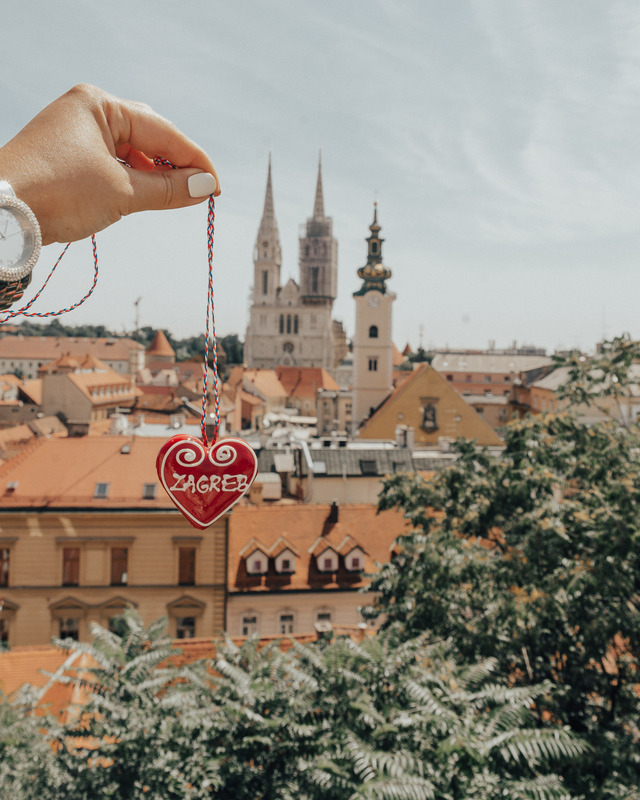 There you’ll have a great view with tropical plants and love locks in the foreground and Zagreb cathedral in the background (see my Instagram photo here). If you walk up the stairs, a few steps above Strossmayer Promenade, you will also get a great panoramic view of downtown (I took this photo there). 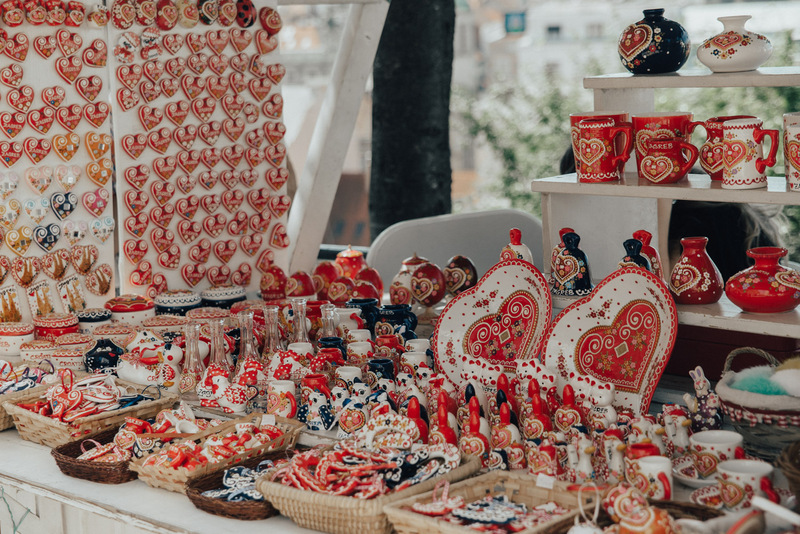 Dolac Market is a farmer’s market located in Gornji Grad, just a few meters away from the main city square, Ban Jelačić Square. Here you can find anything from fresh fruit and vegetables to flowers and souvenirs, like Licitars. Dolac has been the city’s major trading place since 1926, and it’s still bustling with life and activities. 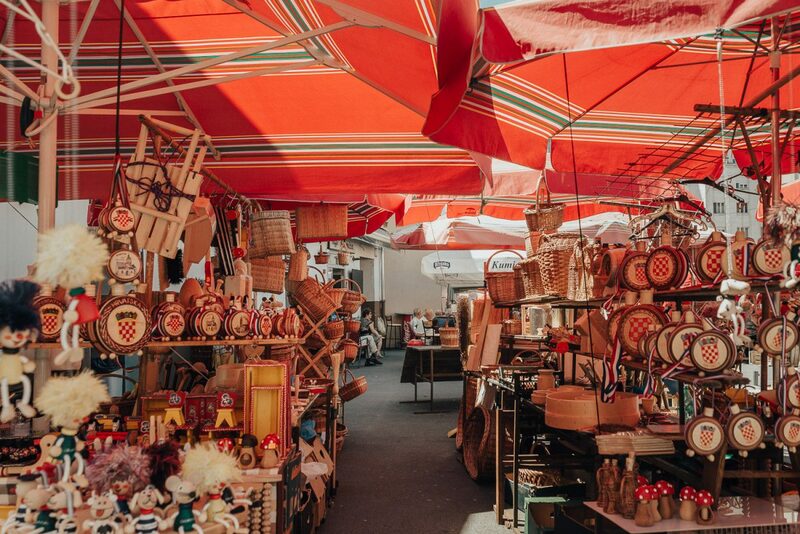 It’s a great place to meet the locals, taste fresh seasonal products from Zagreb surroundings, or buy hand-made souvenirs at negotiable prices. The market’s opening hours are from Monday – Saturday 07.00-15.00 and Sundays from 07.00-13.00. If you’re visiting Zagreb in the summer, Grič Tunnel is a true blessing in the heat. 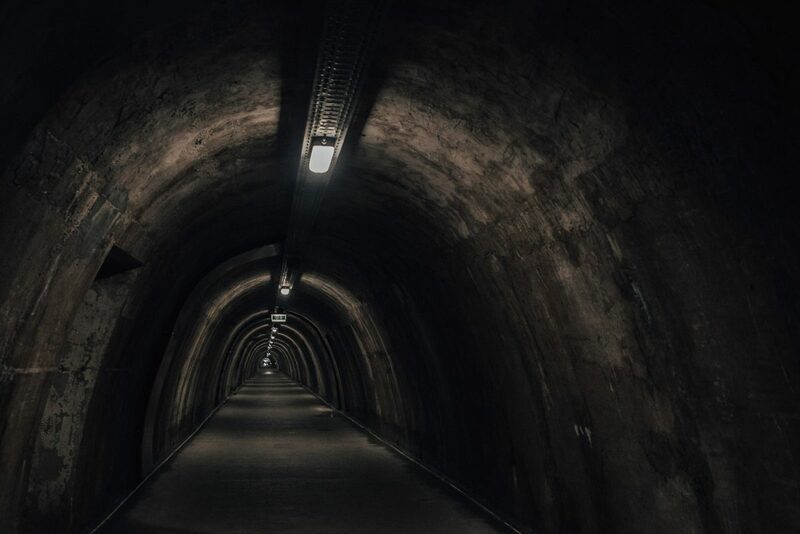 Take a stroll through the tunnel while you cool down. 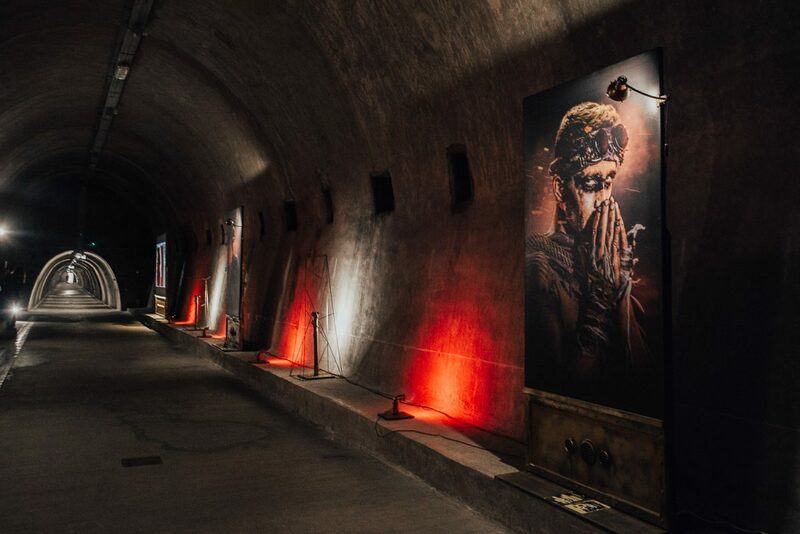 You might even spot something out of the ordinary in the tunnel as it’s often hosting cultural events and serve as a tourist attraction. 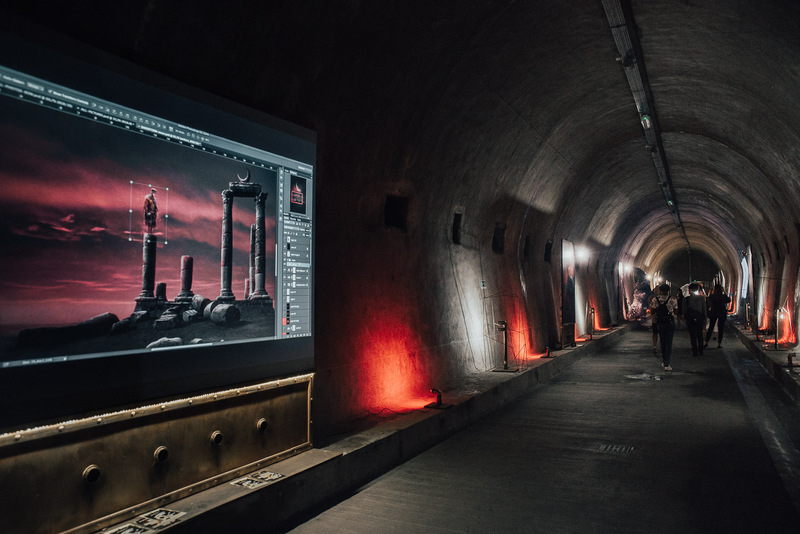 When I was there, I spotted an art installation where you could see the artist’s workflow in Photoshop displayed with a video, and the finished artworks hanging on the walls. It was quite impressive! 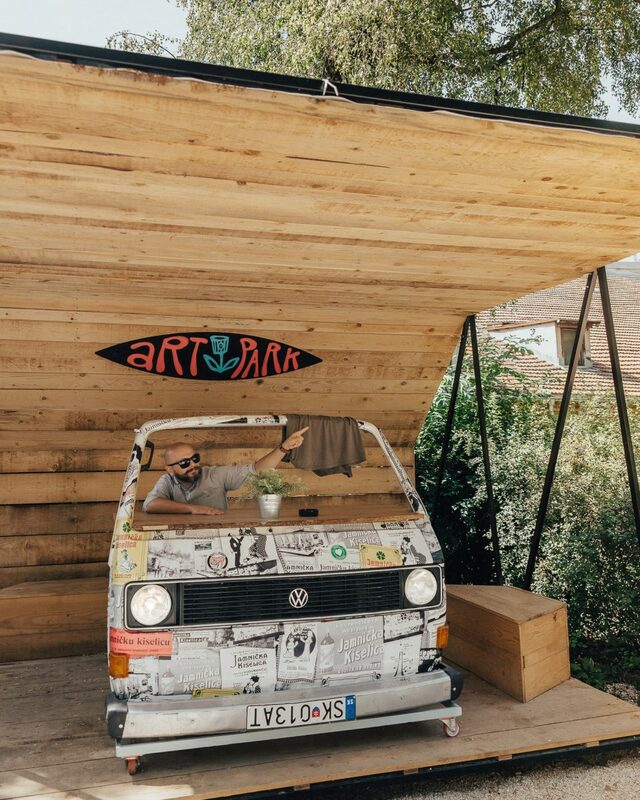 Just outside Grič Tunnel is the Art Park. 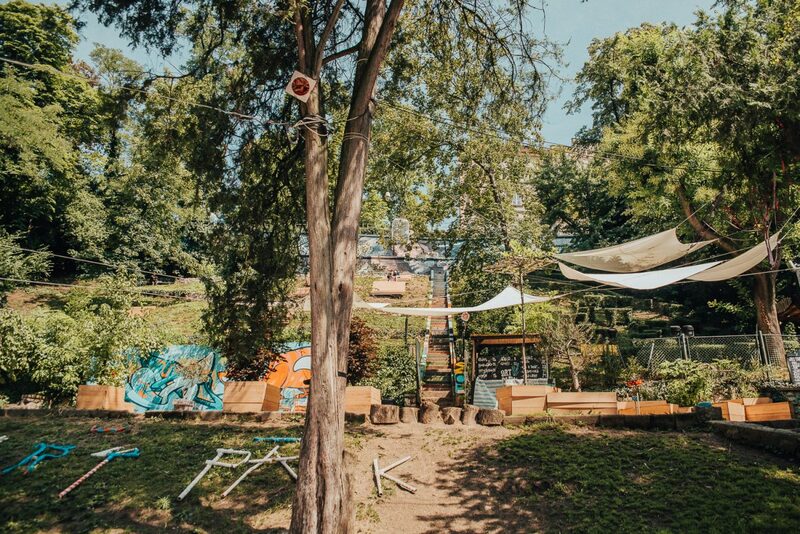 It was once an abandoned park in the center of Zagreb, but that has now been transformed by street art collective Pimp my Pump and turned into a vibrant, playful and creative park. It’s a quirky spot with many fun photo opportunities. During the summer months, lots of exciting things are happening here. 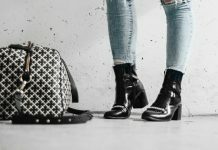 From drawing sessions, cocktail and movie nights to yoga, DJs, and, sports events. Another park worth mentioning is Zrinjevac Park – just between the main square and the main railway station. 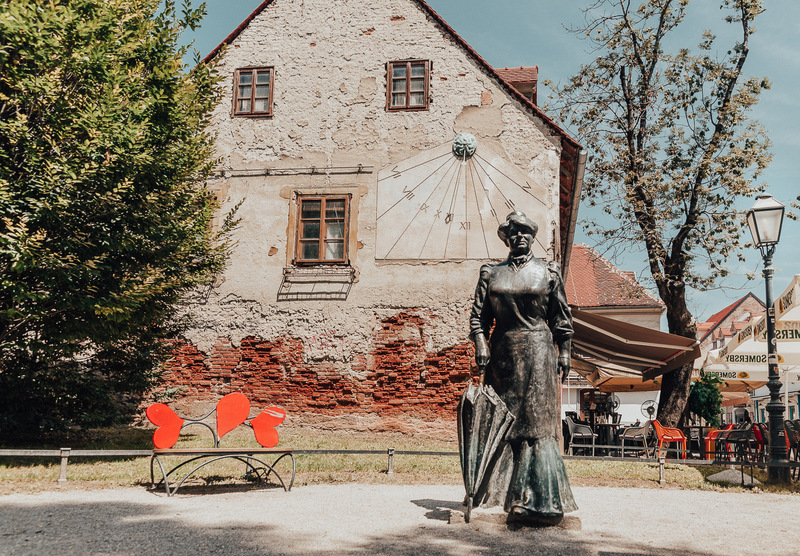 It’s one of the loveliest hangout spots in Zagreb. The green park is filled with trees, flowers, fountains and is framed by beautiful old buildings. It’s the perfect place to relax in the middle of the bustle. 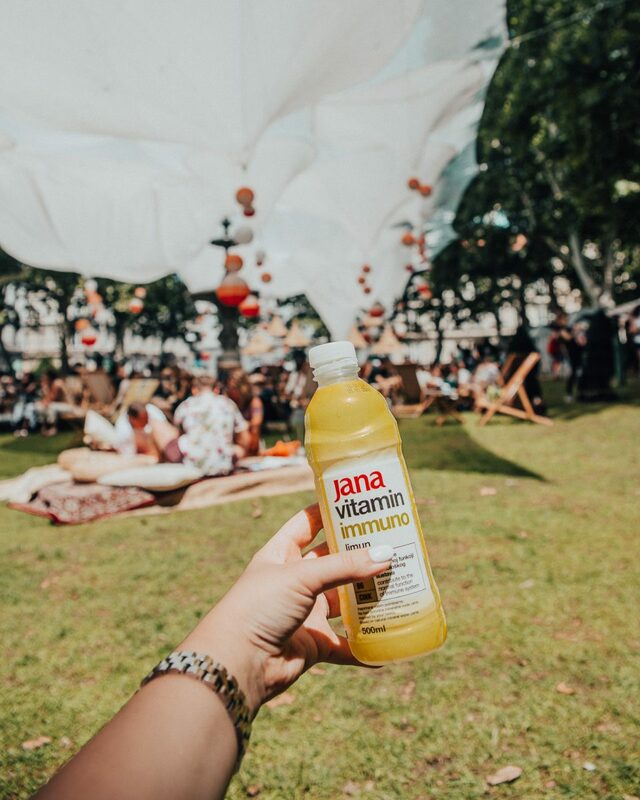 During the summer months, there are pop-up cafe stalls, live music, and DJs. In winter you can enjoy baked štrukle, mulled wine, and hot chocolate in a Zrinjevac wonderland. The trees are magically lit and the old music pavilion looks like a glittering palace from a fairytale (just look at this photo!). 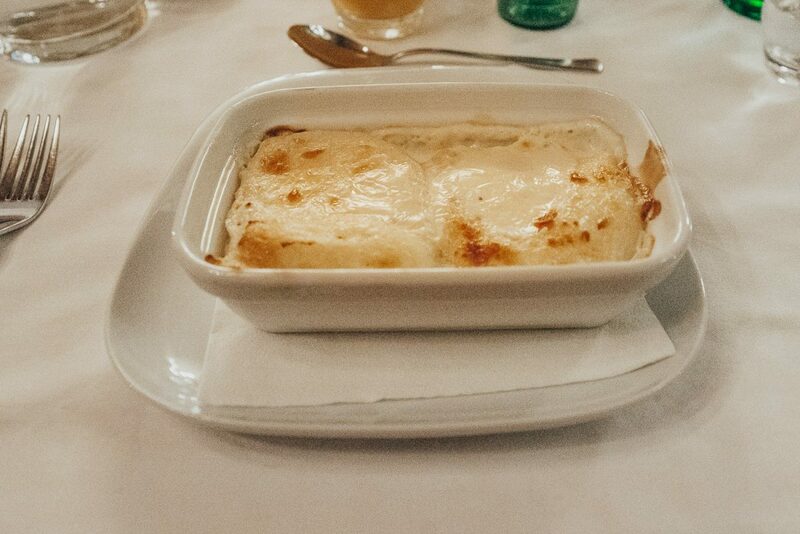 You do, of course, need to try some Croatian food. 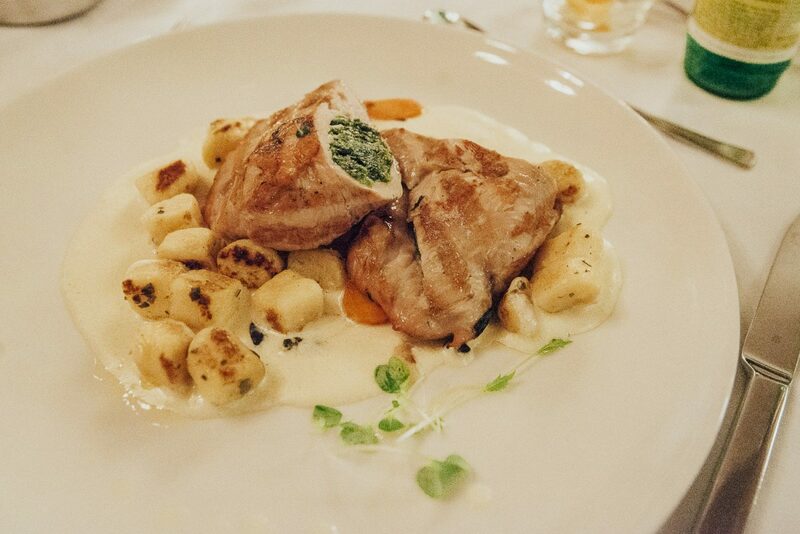 A great restaurant to wine and dine is Vinodol restaurant, located in downtown Zagreb. 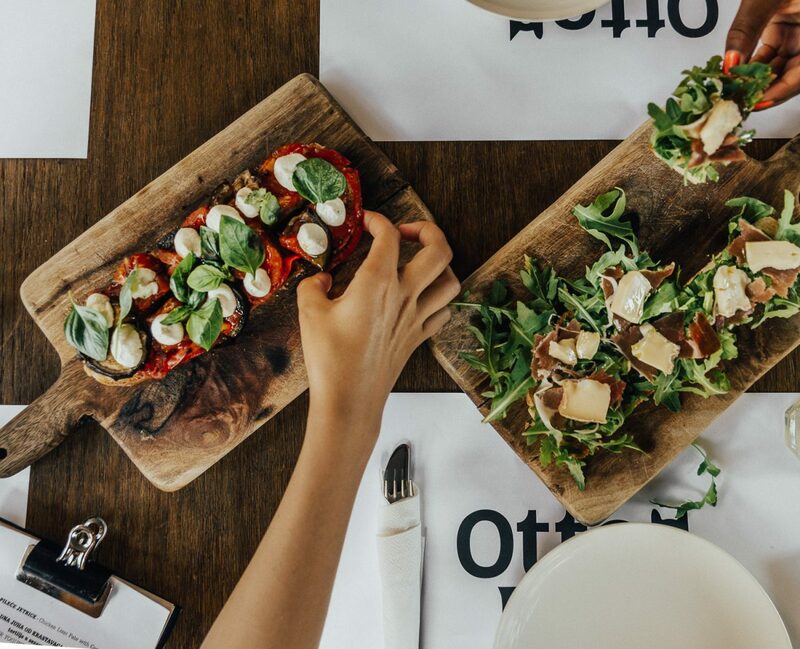 They have a large indoor and outdoor seating and serve traditional continental and Mediterranean cuisine. 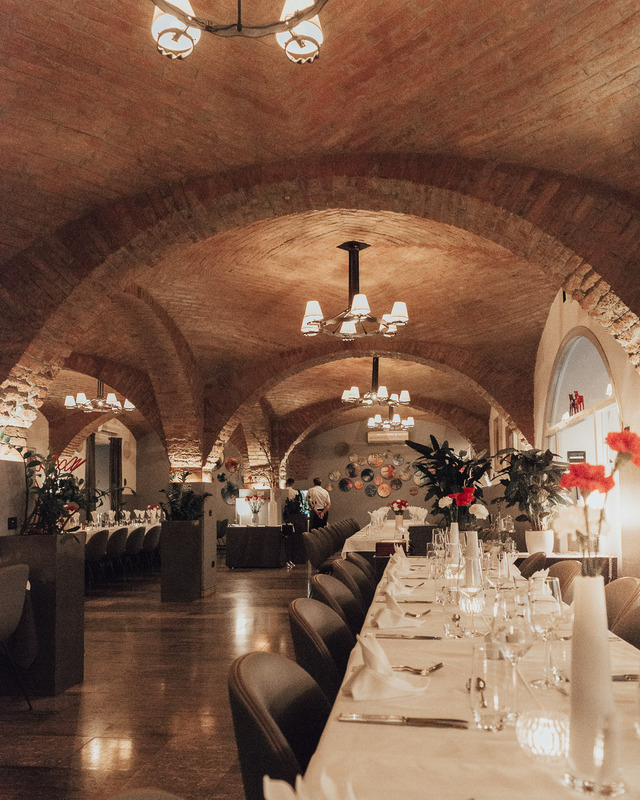 We had a table inside under the brick-vaulted ceiling, and I loved the warm and homely vibes. Also, the food was so delicious! 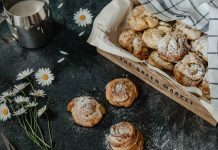 Don’t miss tasting the popular Croatian dish Zagorski Štrukli (homemade dough with filling). It’s so yummy! Zagreb awards those who walk. There are some really cool murals and often overlooked street art hiding in Zagreb. There’s, for example, a spectacular anamorphic mural of a blue whale (which can only be seen from one angle). 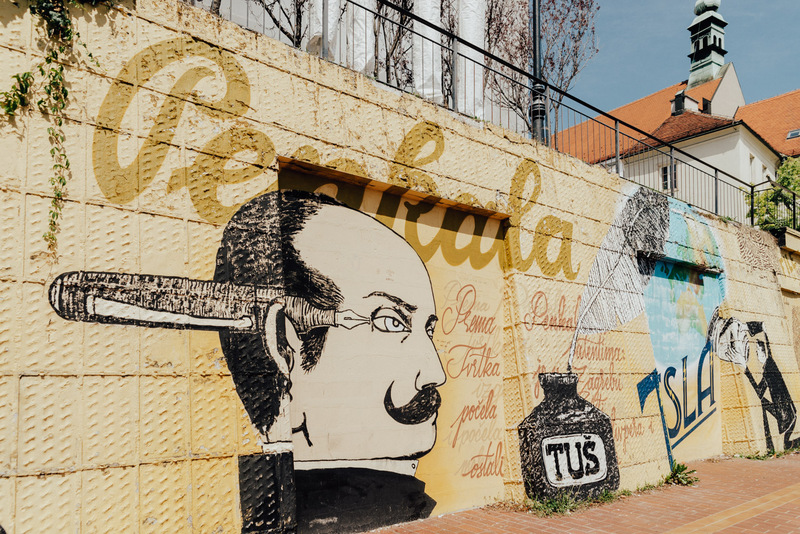 It’s close to the colorful street art block seen above, depicting the Croatian inventors Nikola Tesla and Slavoljub Penkala. 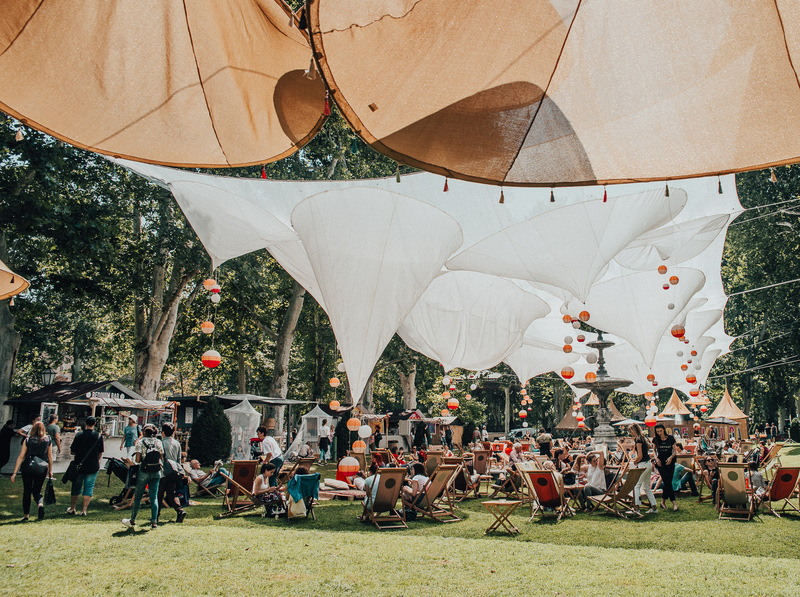 The chances are that whatever time of year you visit Zagreb some kind of festival is going on. People are always up to celebrating something in Zagreb. 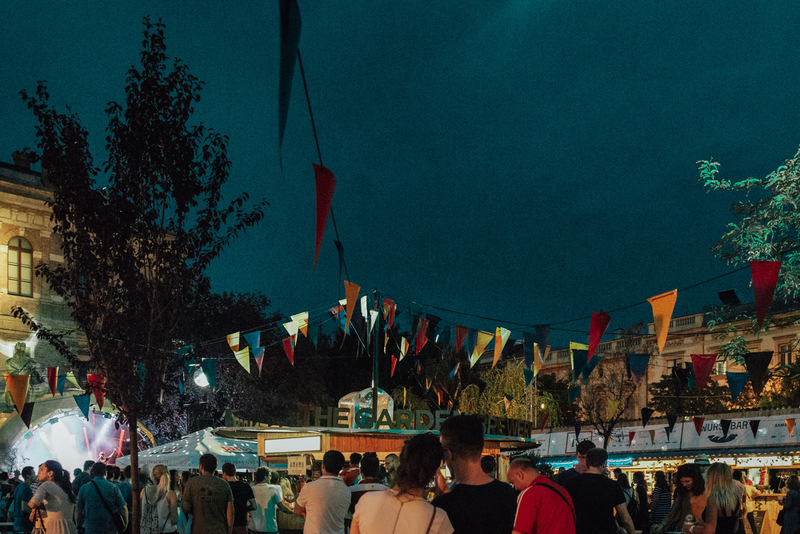 Highlights include the Festival of Lights in March, Cest is D’Best in early June (which brings hundreds of street performers to the city), and numerous film, theatre, and music festivals during fall. In winter Zagreb has a large open-air ice rink and plenty of festive performances and Christmas markets. 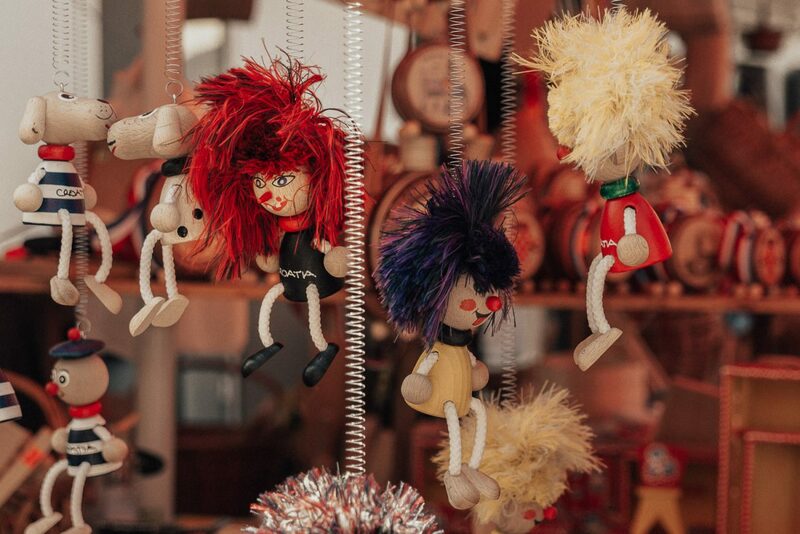 Zagreb Christmas market has been named the best in Europe for the third year in a row, so that’s an excellent reason to visit Zagreb during winter too. 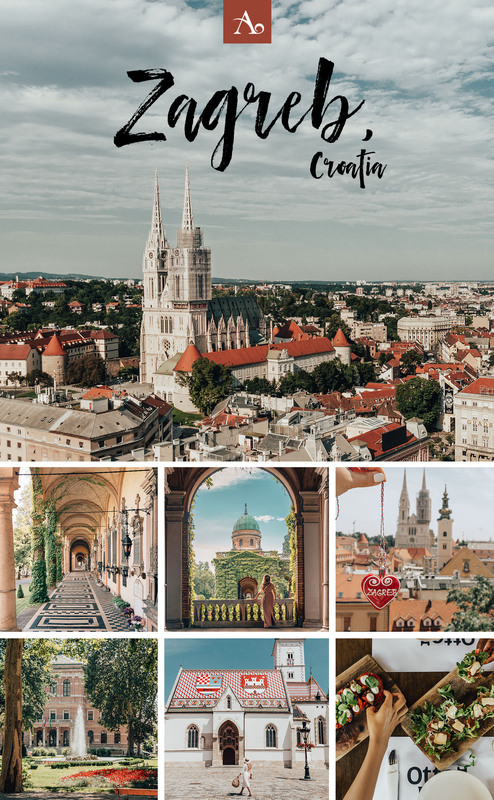 I visited Zagreb as part of a #VisitSlavonia press trip organized by Croatia National Tourist Board. As always, all opinions are my own.